A strong ethic is vital for a caregiver to do the work fluently and uninterruptedly. It is a set of moral principle which is required for caregiver while taking care of older clients as well as a disabled person. A caregiver must have patience while providing home care to other patients. The work may not go as fast as had been planned or there may be a change in the plan if needed. It is necessary to have the patience for a caregiver, and he should not be irritated with the work to be done. It is an important aspect; a caregiver must be attentive towards his work while providing home care services. By being vigilant, the caregiver can monitor the changes in the health of client physically as well as emotionally. 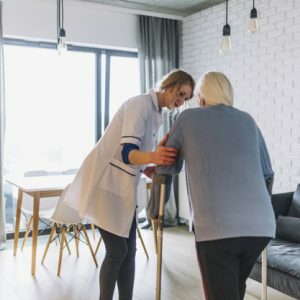 While taking care of an older client, the caregiver needs to be sympathetic with him, so that mutual understanding becomes stronger and he or she can feel the difficulties that the client is going through. A person with a disability and older clients are entirely dependent on the caregiver. The caregiver needs to give support to the client emotionally and regularly meet the client’s needs.